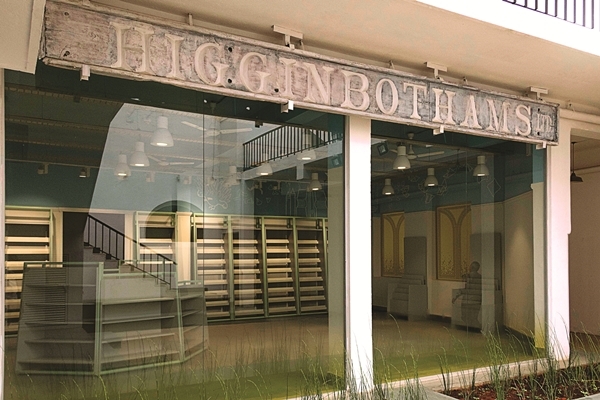 New visitors to the soon-to-be-relaunched Higginbothams store will be struck by the charming blend of historical, architectural and literary stimulation the place offers. Old-timers will definitely appreciate the new look, but will also breathe a sigh of relief that in reinventing itself, the store hasnai??i? ?t lost its essence. And if youai??i? ?re like us, youai??i? ?ll be amazed at just how big the property, which connects MG Road and Church Street, really is. ai???Itai??i? ?s in excess of 25,000 square feet,ai??? says Gautam Venkataramani. The director of Amalgamations Group, a family-run business which owns the bookstore chain, Gautam took over in 2014 and the new concept has been in the works ever since. ai???Itai??i? ?s actually my uncle, A Krishnamurthy, whose idea it was to revamp both our heritage buildings (the other one is in Chen Buy roxithromycin uses nai), as a sign of respect to my grandfather, who bought the franchise in the 1940s. He was a true bibliophile,ai??? reveals Gautam. Author of bestsellers like The Immortals of Meluha and The Secret of The Nagas, Amish Tripathi, will relaunch Higginbothams on February 25. We got a sneak peek into the store and hereai??i? ?s what we found. It is said to be Indiaai??i? ?s oldest bookshop, having opened for business in 1844 in Chennai. The Bengaluru shop is over 100 years old and was launched in 1904. It was initially owned by Christian missionaries and called the Weslyan Book Shop. But after heavy losses, it was sold to Abel Joshua Higginbotham, a librarian by profession. 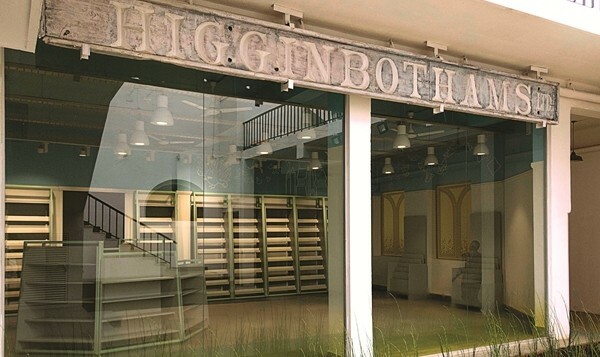 After his death, it was taken over by his son, CH Higginbotham. It is now owned by Chennai-based manufacturing company, Amalgamations Group. Higginbothamai??i? ?s, earlier also known for their printing and publishing business, was the first to print a recipe for mulligatawny soup and Madras curry powder, in a book that was written by a retired general. In 1875, the Chennai store was visited by the Prince of Wales. For a time subsequently, it was the official bookseller to His Royal Highness. 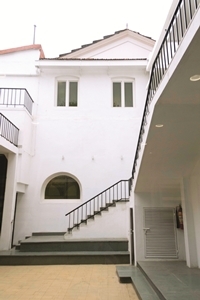 The place has been redesigned by architect Michael Foley who has ensured the original structure remains intact. The colonial look and feel has not been lost, but restored. The charming window arches have been given a modern update with some colour and graphic prints. On the inside, they serve as cosy reading nooks. The colonial ceiling, with its shingled roof has been left as is. But a fresh coat of black paint on the inside gives it an edgy look. About 50 per cent of the ground floor has been dedicated to kidsai??i?? books. Cheerful sky blue interiors and quirky detailing make it an ideal space to get children interested in reading. The musty and cramped interiors have made way for contemporary and airy rooms, with sleek bookshelves and striking decor elements. An industrial roof gives the place a trendy vibe, while shades of amber and grape lend it a fun look. The store has dedicated gaming and travel zones. The technology section will stock Kindles and other e-readers. There is also a Karnataka zone on the first floor, which will focus on books dealing with local culture. A sunlit courtyard, previously unused, will host book readings, talks and performances. At the Church Street entrance, there will soon be a cafe (by the end of 2017, weai??i? ?re told) where readers can stop by for a coffee and finger food. 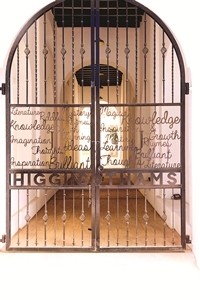 Higginbothams is also developing its own e-reader, which will be launched sometime this year.